An ultra close, comfortable shave is easy and convenient thanks to the Remington Smooth & Silky Rechargeable Shaver. The 3 Blade system with flexible hypoallergenic foils offer a close shave and helps prevent irritation in sensitive areas. The specially designed Flexing Trimmer blade lifts, guides and cuts flat laying hairs for smooth and silky results while the comfort tips gently and effectively removes additional unwanted hair. Incorporating the amazing wet/dry technology, you can use this shaver in or out of the shower. 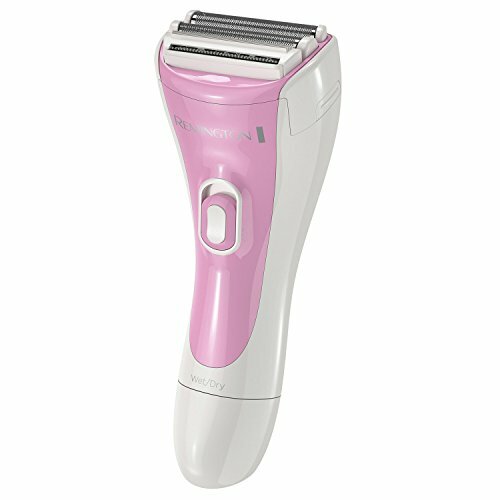 Get this grooming gadget and enjoy the ultimate shave with noticeably smoother results! 3 Floating Blades. Flexible Hypoallergenic Foils. Flexing Trimmer with Comfort Tips. Rechargeable. 30 Minute Cordless Run Time. 4 Hour Recharge Time. Ergonomic Design. Includes Bikini Trimmer Headguard & Cleaning Brush. 100% Waterproof - For best product performance, do not completely submerge in water. *Source: Nielsen POS data AOC US: Dollar Volume, 52 weeks ending 9/26/15.